My name's Tony, I'm from New Jersey. 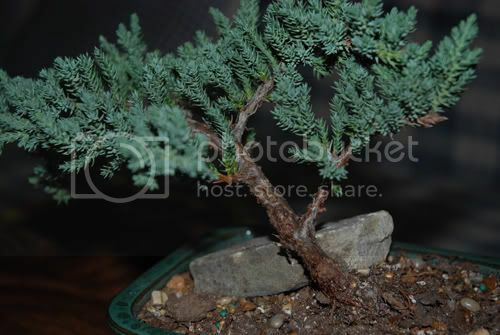 I recently got a bonsai tree as an early christmas gift (I'm not sure from which store, lol) and I was wondering if you could help me identify it please? It came with minimal directions, so I figured I'd look online for s'more tips, and low and behold, a forum popped up. Also, where the hell do I get moss? Any help would be greatly appreciated. 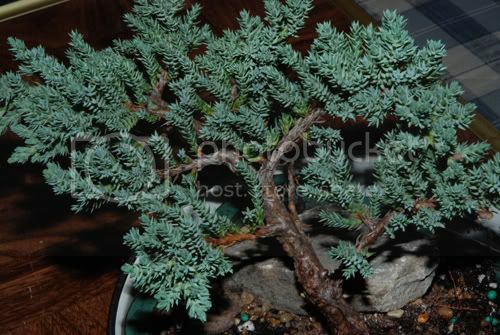 The tree seems like a small ever green, I believe they called that temperate? The good news is it looks OK so far. The bad news is it belongs outside. But since it has, presumably, been kept inside on a store shelf somewhere it may not be a good idea to put it out now. Verify if it was inside or out. If inside, as I suspect, you will have to find a bright, cool location until spring at which time it should start its new life outdoors. Make sure that you let the soil approach dryness before watering again. If that is a humidity tray ensure that water cannot wick up into the pot. I will find out if it was outside or inside, but I'm guessing inside. So now the trick is finding a place that is cool and bright lol. As for the water tray, i will do so. I was just submerging it in a bowl so it would soak. Where does one find moss? Yes I just asked the gift giver, it was in the store. I was just submerging it in a bowl so it would soak. I don't usually water by the submersion method. It is not the worst thing you could do but over the long run salts and minerals can build up. Better to water from above, this helps prevent anything from accumulating. You don't really need any moss. It will only make evaluating the moisture level of your tree that much more difficult. Yes that will be a problem. 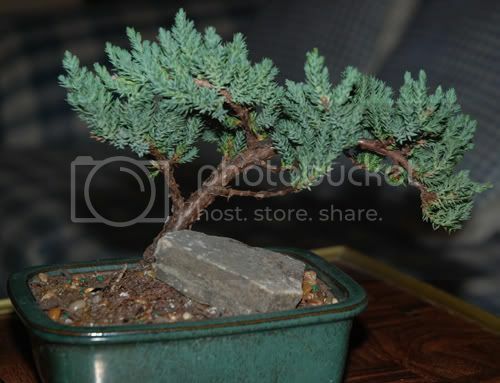 As I said Junipers really belong outside but you are in a tough spot. It is matter of the lesser of two evils, put it out now and risk it or leave it in and try to bring it through the winter. It would not hurt to put it out if the weather is mild, as it has been here. I really don't know how long it would take to ready itself for truly cold weather or exactly how detrimental it would be to expose it to below freezing temperatures without an acclimation period. Could I try leaving it out in the daytime when it's warmer, and in @ night? or is that no good? It would not hurt to put it out if the weather is mild, as it has been here. You can leave it out at night too as long as it does not get below freezing. Again, I am being conservative because of your unusual circumstances. 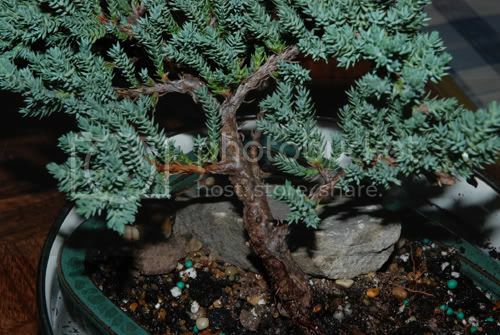 My Juniper is planted out in the garden and will spend the entire winter outside. Outside you go, little bugger! 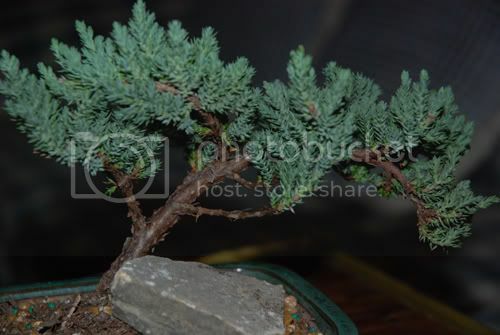 How to Care for Inside and Outside Bonsai?